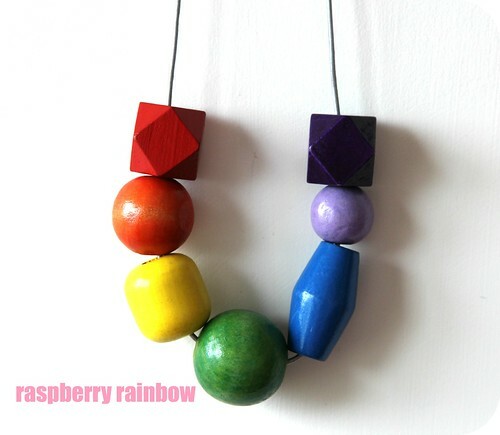 Raspberry Rainbow: Do you want to wear a rainbow? Do you want to wear a rainbow? If so, now you can. 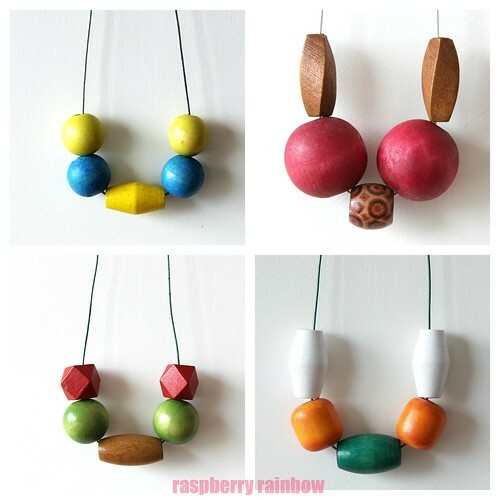 New in my shop are RAINBOW necklaces. There are two different types at the moment (the yellow bead is a different shape in each one). I have a funny feeling I will be making many more of these. Mine has been worn almost every day since I fist made it. 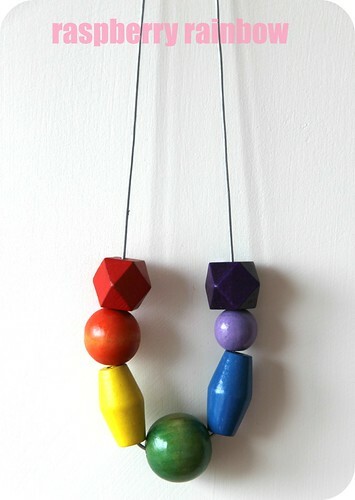 I love my rainbow necklace, I love wearing a rainbow.